What’cha doin’ this Saturday morning? 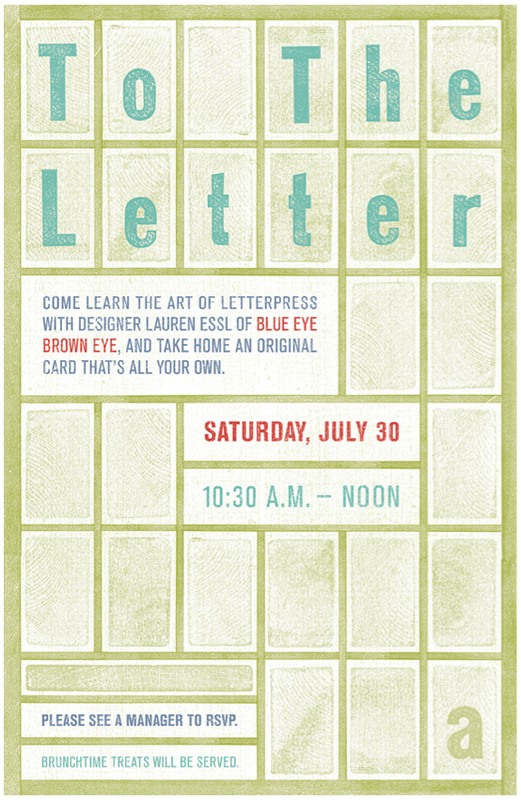 If you’re in D/FW you should swing by the Fort Worth Anthropologie and make some letterpress cards with me! I’ll be there starting around 10 ’til noon with my Kelsey press. You’ll learn how to print your very own thank you cards and take them home with you! There will be treats, good company, great shopping, and fun all around. Hope you can make it! This is so cool! Can’t wait.